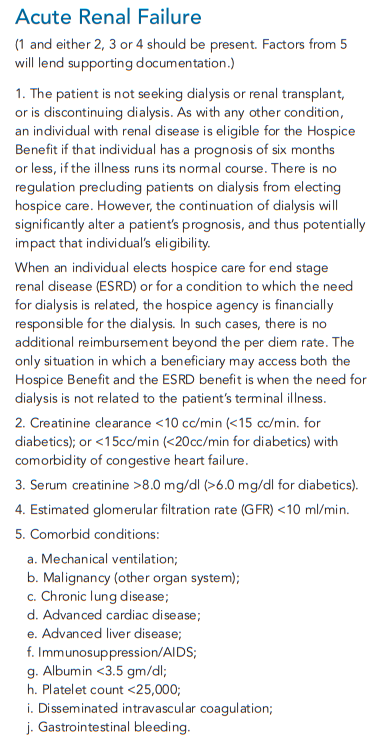 What follows is the prognosis for Acute Renal Failure based on hospice admission criteria. If a patient meets these criteria he or she is eligible for hospice care which means that he or she has an estimated six months or less to live. This entry was posted in Family Medicine, Internal Medicine, Nephrology, Palliative Care, Prognosis. Bookmark the permalink.